The HIGHFLIER band has been true to the nature of each song in the quest to present a fresh and enjoyable experience. We hope you agree that the music is good, the musicians are good, and that in taking the chance of giving the HIGHFLIER band the opportunity to perform, the response from audiences will be as unique as the music itself. Composer and arranger of the songs. 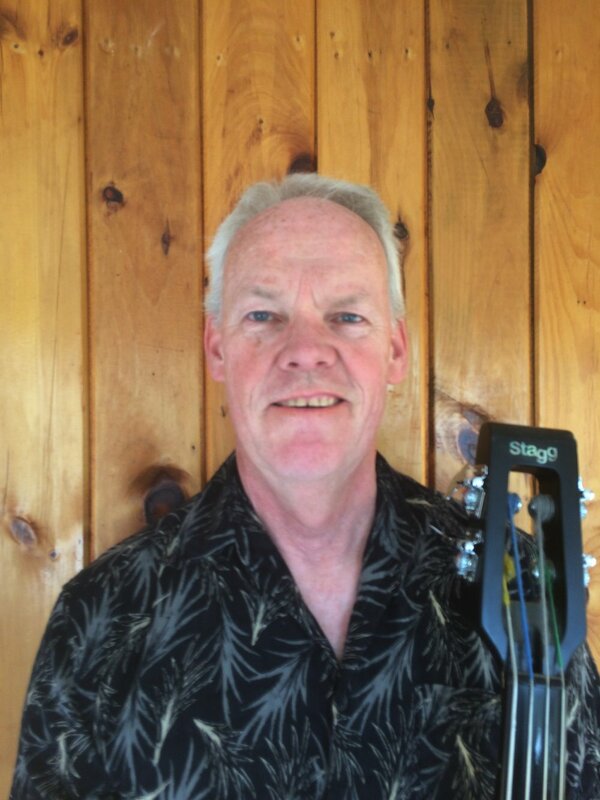 Dan has been performing and recording his songs on 12 string acoustic guitar for over 40 years with a solo album to his credit. He has performed primarily as a soloist with occasional excursions into blues and rock bands over the years along with various trios and duos. Originally appearing in clubs in Eastern Massachusetts he moved to Maine in 1999 and enjoyed a quieter musical hiatus before beginning the formation of the HIGHFLIER band in the fall of 2015. At that time, he made the commitment that any band he could put together would only perform his original works, and so began the search for those special musicians who would join him in that effort. Bassist. John was the first person to take up the challenge and as a bassist brought both his stand up acoustic bass, stand up electric, and a couple of conventional electric basses to the project. John has a history of rock and blues as well as bluegrass which, coupled with a tremendous musical sense, added the foundations to the songs in a style fully voiced to addressing the nuances and complexities involved in bringing the songs to their current advanced state. His sensitivity and talent for creation as well as performance is demonstrated equally whether on stage or in the studio. As a major cornerstone defining the feel of the material with its many different textures, he is uniquely suited to take on such a task. Drummer. Joe has not only the ear but the foresight to see far ahead to where the music is going and has worked consistently toward that vision. He has many years behind the drums with orchestra, studio, and live performance experience in many genres including Latin beats that few if any today have ever played. Both his formal and informal training has been driving the project without hesitation to its fruition. He has not only been a catalyst for injecting energy into the material but has become the glue holding everything together. His open and free approach to percussion lends subtle brilliance to the various song structures with his undeniable depth of talent.